Last year my goal was 30 and I managed to read 35, so I am upping the goal a little this year. 32 books should be manageable. I have a board on Pinterest chock-full of books I want to read, my TBR list if you will. Last year I only read 3 books from that board. Why am I collecting a list of books if I am not trying to read them? It's just plain silly. So this year, I will read some books that I have pinned and, of course, I will continue pinning books. I would like to finish reading Melissa de la Cruz's Blue Bloods and Witches of East End series, Michael Scott's Nicholas Flamel series, Deborah Harkness' Book of Life series. I feel like there are more that I am forgetting right now. I want to continue with Dean Koontz's Odd Thomas series, but I don't think I will finish this year. I will not set a word count goal this year although I might keep track of my yearly word count, just for fun. I think it will be easier to meet my goal if there is no word count/time goal attached. Not much left to write in DOVH, a lot left in Mordred. I want to keep plodding along and making progress. I have never edited anything as big as ZF before, so this will involve reading and learning, both of which I love. Win Win. I don't think I will attempt NaNo this year. It never works out very well for me, by which I mean I usually write a few thousand words and then second guess where the plot is going and think a lot about writing the next part and then realize I am too far behind to ever catch up and then give up completely. I would still like to try some kind of writing challenge, so if you have any suggestions, let me know. I have been following my schedule for a few weeks and want to continue with it. It is working for me. 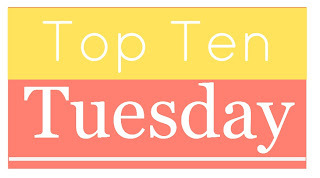 I will post Teaser or Top 10 Tuesday, What I am Reading Wednesday, a weekend Stuck in My Head post, and occasional book reviews. I hope to also add some personal essays this year... maybe. What are your reading and writing goals this year?